For Youth By Youth program celebrates works by media makers of Asian descent under the age of 21, articulating their perceptions of life and the world in the most original voice. 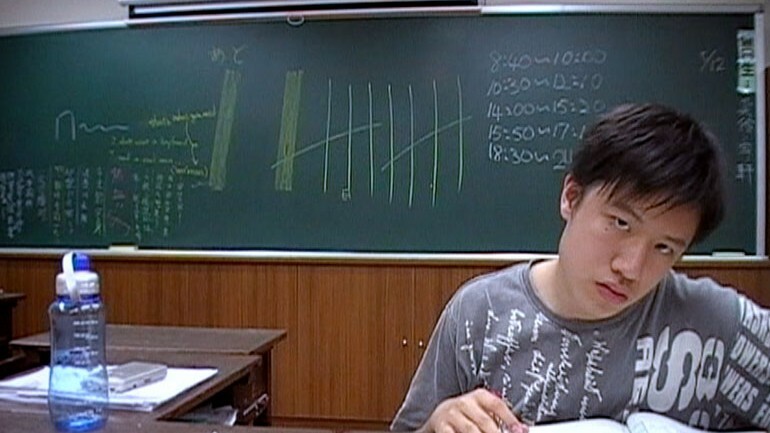 This year, AAIFF15 is proud to present a Taiwanese documentary IF THERE IS A REASON TO STUDY. The film is directed by a then 14 year-old student Alder Yang who has spent 6 years to document a test-driven education’s impact on students. In addition to filmmaking, Alder strives to make a difference in education by means such as writing, journalism, workshop design and facilitation, and entrepreneurship. AAIFF15’s programming team was fascinated by his one-man crusade and selected the film for its subject matter as well as the young director’s rarely seen courage and perseverance. It’s believed that focusing on academics and getting a higher educational degree ensures career readiness. However, will the students be able to remember their passion in learning and keep exploring their potential while complying with this belief? This film is a story of a group of Taiwanese alternative school students and their struggle facing this conventional belief. By tracing their journey from junior high school to college, director Yi-Fan who was an alternative school student himself, realized that high-stake testing and the tracking system might be the reason his friends are losing their motivation in learning and the courage to discover their own calling. Yi-Fan even experimented on himself in this conventional system and found himself trapped. Director Yi-Fan(Alder) Yang will attend his screening. Alder Yang is a young change maker who has devoted his entire adolescence to make a difference in education. He aims to actualize the cradle of societies where all people can find their sparks, live their sparks, and spark the world. He is the founder of Awakening Lab, a grassroots research/experiment community for education and social change in Asia, the judge of 2011 Design for Change Taiwan Challenge, and had spoken at several educational events such as the 2014 TEDx Taipei Salon. Collaborating with several educational organizations, he is currently a core organizer of a new wave of co-designed learning movement in Taiwan.